Working in a nice and spacious office with a number of friendly and helpful people is something we all love and cherish. However, what about people forced to spend their working hours in a tiny office space crammed with lots of hostile people or in a cubicle that offers zero excitement? Pleasant environment boosts creativity and inspires better performance, which is why some choose to work from home. They can equip their home office with their favorite furniture and decorate it the way they like. Here’s how to pick modern furniture and décor for your home office. Why is a home office such a good idea? No matter where you work and what you do, you can never be sure that your office will suit you and even the best companies can’t guarantee motivating, enjoyable and stimulating space. However, in a home office, things are quite different. Most people find working from home easy and convenient, especially if they have to commute for hours day after day. Instead of wasting time and killing your own productivity, skip the hustle and work from home. Nevertheless, not just any space will do – you can’t get maximum results from an improvised working station set in the corner of your living room or if you turn your bed into an impromptu office. This will make you less focused and concentrated, so setting up an office in a spare room is a better idea. Being in an office requires you to behave properly and professionally. It also means that you need an adequate desk and a chair that will support you for eight or nine hours a day, no matter what you do. Most people working from home are freelancers who conduct business over the Internet, which means they spend most of the day sitting. Therefore, a great desk/chair combo is a must. Depending on how big your home office is, make sure your desk is spacious enough, yet not too huge – you don’t want it taking up all your free space, do you? However, having your own office and being your own boss means you can pick the model you like or, alternatively, make one on your own. The same goes for the chair as well – pick the most comfortable ergonomic model that gives you plenty of back and neck support. Don’t be afraid to spend a bit more money on a good chair – it’s worth it! Of course, your office has to include more furniture than that. Just because you’re in your home doesn’t mean you don’t have to interact with other people, so additional seating area is vital when meeting with potential clients or partners. After all, a proper office lounge makes you look more professional and trustworthy, which is something your future associates will appreciate. That’s why you should start looking into high-quality home office furniture as soon as possible and find the most suitable ottomans, armchairs and three-seater sofas for your home office. Another thing you have to keep in mind is storage – will your home office have enough space for all the documents and binders you need on a daily basis? Small offices require more planning when it comes to storage options because they offer limited space. And if you don’t like spending time under a pile of paper, get yourself enough cabinets and shelves for all your office supplies. Decorating a home office is easy since you’re free to add anything you like – from pictures of your family to your childhood memories and even sports memorabilia. Remember: you will be the one occupying this space, so make sure you feel comfortable in it. Even if you lack decorating experience, you can still manage to decorate a home office. Let your taste guide your decisions and color coordinate your personal items with your wall and furniture color. If you manage to avoid common decorating mistakes, you’ll surely find your office space more enjoyable and inspiring. 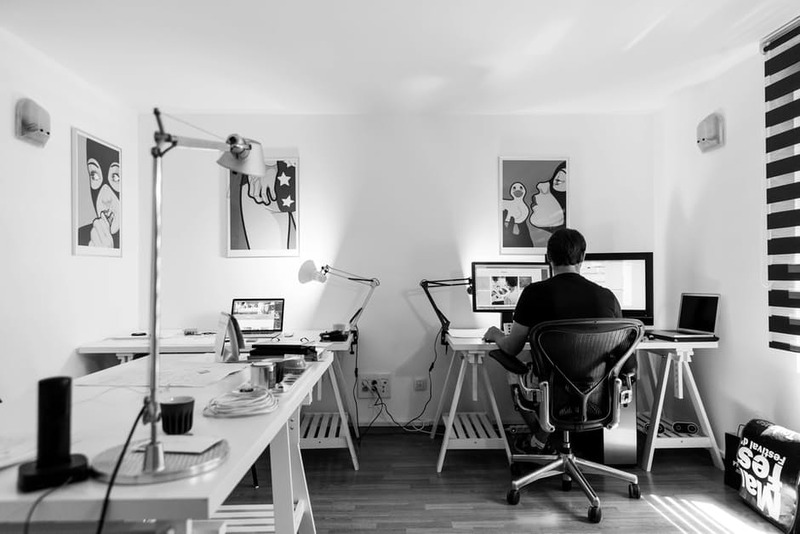 Once you start working from your home office, you’ll begin to realize its benefits – spending more time with your family, saving money on gas and working in a more peaceful environment, particularly if you furnish and decorate it properly. ← Is Custom Building a New Trend in Real Estate?